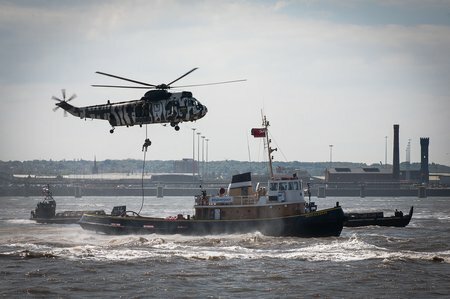 January 29, 2016—The Vane Brothers Company, Baltimore, MD, has taken delivery of the Elizabeth Anne, the first in a series of eight 4,200 horsepower tugboats. All eight Elizabeth Anne Class towing vessels are on order at St. Johns Ship Building in Palatka, FL, with the second in the series, the Hudson, scheduled for delivery from the shipyard this spring. Ro-Ro, passenger ferry Grisslan for sale. Puteri Harbour, Johor (Jan 29th): A short delay waiting for the wind, then at the slightest flutter of the flags, six teams ventured out to complete the remaining two flights of the qualifying Round Robin. 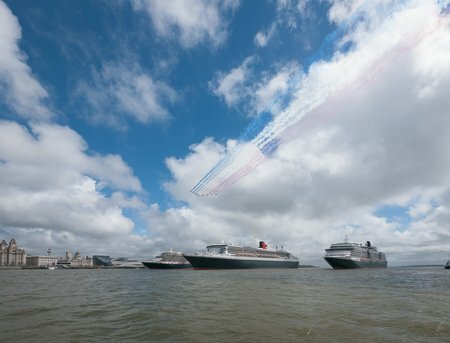 After 22 flights, 66 races for 12 teams, 14 boat change over’s and numerous course adjustments latter, four teams bow out of the competition and eight teams carry on into the sudden death quarter finals. With 3rd to 8th places, still open for the taking, all eyes were on the live coverage and see how the rankings would pan out. 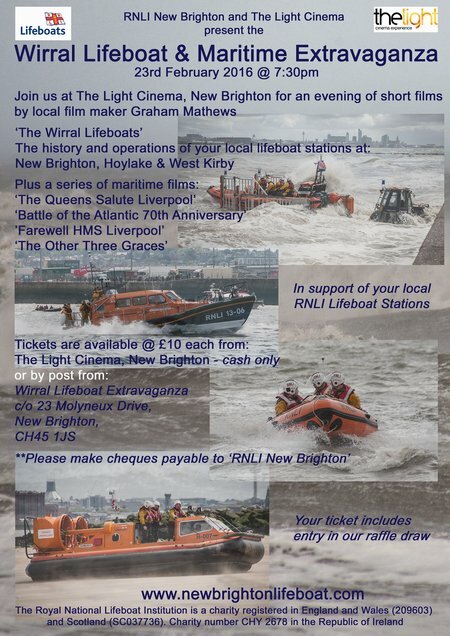 RNLI New Brighton lifeboat station and New Brighton’s Light Cinema have got together to bring you a unique evening of films of classic maritime events of the last few years on Merseyside. 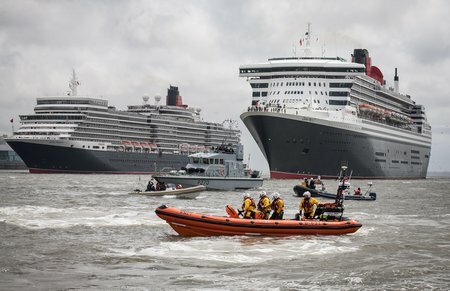 In addition learn all about the work and history of Wirral’s three very different lifeboat stations in New Brighton, Hoylake and West Kirby. 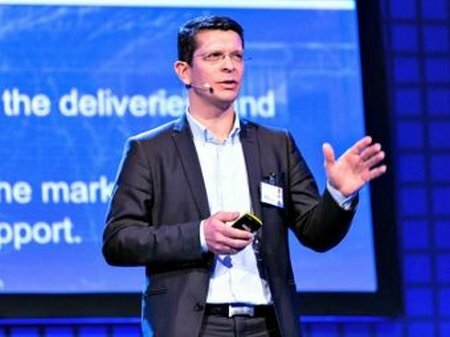 January 28, 2016—Geir Håøy, current President of Kongsberg Maritime (KM), will succeed Walter Qvam as CEO when he resigns in June. “Kongsberg is in a time with demanding challenges and several opportunities. Geir Håøy excels with long international and industrial experience and has for five years led KM, Kongsberg’s largest business area,” says Chairman of the Board, Finn Jebsen. Two Rye teenagers, Ed Fuggle and Ben Brunton, spent the best part of Australia Day saving a man’s life. 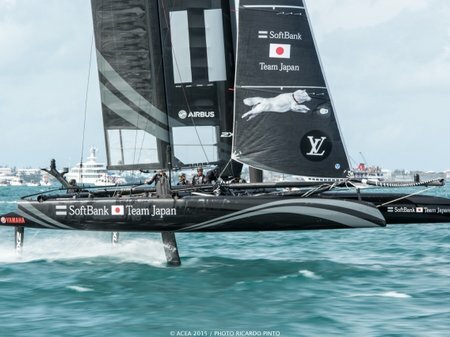 The first ever Louis Vuitton America’s Cup World Series Oman gets underway in one month, putting Muscat under a global sporting spotlight for two extraordinary days. 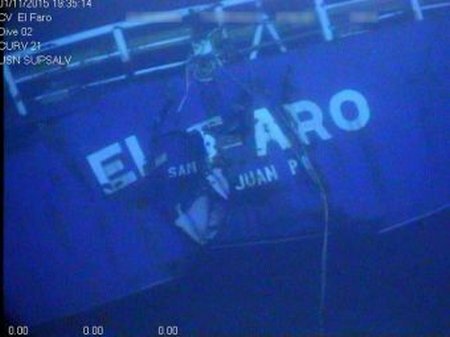 January 27, 2016—As the Coast Guard announced the dates for the first public hearing into the loss of the El Faro, news broke that TOTE Maritime had reached settlements with the families of 10 people who died when the U.S.-flag cargo ship sank during Hurricane Joaquin last October. Media reports citing a January 22 court filing say that each of the families will receive $500,000 for pre-death pain and suffering. Puteri Harbour, Johor (Jan 28th): As the morning session was sunny and the North Easterly was already present, PRO Dave Tallis and his Malaysian race makers, moved along at a fair clip and were aiming to finish the qualifying Round Robin today and move onto the Quarter Finals tomorrow. They continually adjusted to numerous wind and tidal current changes, with only a few short pauses and half way through the afternoon session, the clouds opened up, dousing everyone in a tropical downpour. Despite returning to the race course to try and complete the last two flights, it wasn’t to be and we have to wait till tomorrow for the final outcome.